Last week we wrote about home prices climbing this season and how it’s getting harder to find homes in certain price ranges. Active single family home inventory is down to 5,476 in April, down from 5,900 in March. Pending sales are up too, so our market has been doing very well. 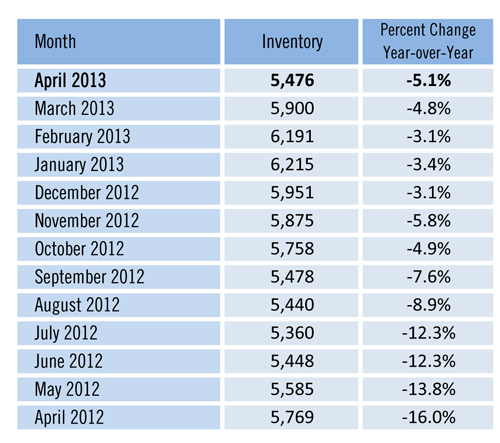 Inventory typically falls this time of year and starts picking up again about October. If you’re a home seller, beating other sellers to the market might help you sell before the rush in the Fall. Last week we ran a line in our ad that read “Your home might be worth more than you think. Find out at SWFLHomevalues.com” We were surprised that with that one little line 8 people responded and filled out their information to find out. Once we receive the information our team runs a computer report that is several pages long and provides an online computer estimate of value. People can select to receive an online evaluation only, or a more accurate evaluation whereby we come to the property and look at various characteristics like features, condition, view, etc. For those just looking to get a pretty good idea the online computer analysis works very well. Keep in mind the computer has never been inside your home and doesn’t necessarily know about some of the upgrades you’ve put in. It also can’t see the condition or other attributes buyers may like, or certain objections a buyer may not like. The market has been moving so fast sometimes the computers have a hard time keeping up. In a rising market, sometimes appraisers go through the same issues. The computers go off recent sold sales and may not reflect a lack of inventory in a certain price range that might warrant an increase in price. The computers have been doing a pretty good job of getting sellers in the ballpark, but if you’re going to sell it doesn’t do any good to sell a home for $200,000 because the computer says so if it’s really worth $218,000. You’re just giving $18,000 equity away to the buyer if you do. 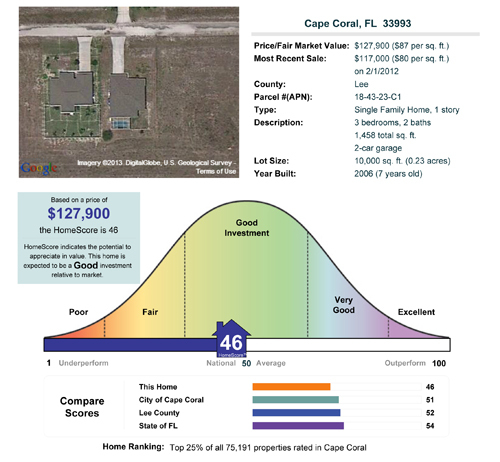 If you have an interest in selling, feel free to check out www.SWFLHomeValues.com If you’re a buyer and would like to search the MLS, check out www.Topagent.com It’s simply amazing today what you can find online. We’ll be happy to send you your online report. If it looks good and you’d like to consider selling, you can call us to schedule a more detailed appointment to go over how we market homes and how our marketing works to sells homes quickly and for today’s true market value. Perhaps you’re looking to trade-up or down before interest rates make a move. Waiting for you home’s value to go up even $10,000 may cost you money. The home you’re looking for could not only rise in value, but the cost of financing could blow any savings with just a ¼% rise in rates. Interest rates are expected to rise because the Fed wants to refrain from buying interest rates down as soon as the economy gets stronger. Several Fed governors have hinted they’re ready now to begin raising rates. If you’re unsure what to do, give us a call at 239-489-4042. We’re easy to talk to and we never pressure. We simply give you your options and let you decide. When you decide to sell, you’ll have the best and most aggressive team working for you. Good luck, and Happy House Selling! Posted in Cape Coral, Cape Coral Real Estate, Fort Myers, Fort Myers Real Estate, Southwest Florida Real Estate.Tagged Good Time to Sell, Google+ Business Page, Listing inventory in Fort Myers, listing inventory in SW Florida, online home value report, SWFL Home Values.